The 2013 Image Contest was Springbok's largest contest yet, with almost 3,000 entries! We had a stunning array of photographs, including some submissions from previous contest winners, as well as a ton of new photographers. 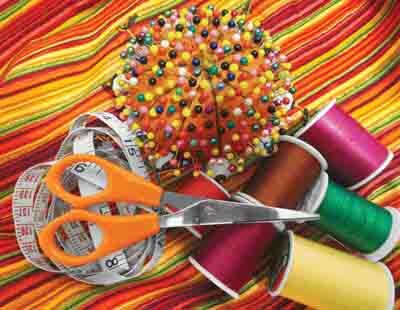 Springbok ended up choosing the image, "Sew Crafty," by Ada Montalvo as the grand prize winner. The image will be available later in the summer as a jigsaw puzzle. The second place winner was Martha Boers for the second year in a row, with her entry, "Bouqet." Finally the unique, "Sewing Box," by Polly McMillan received the 3rd place prize. See more entries on Facebook and find out when the winner will be made available for purchase by joining our email club . Below are the winning images, as well as a selection of the top entries. One photographer submitted over 150 images!